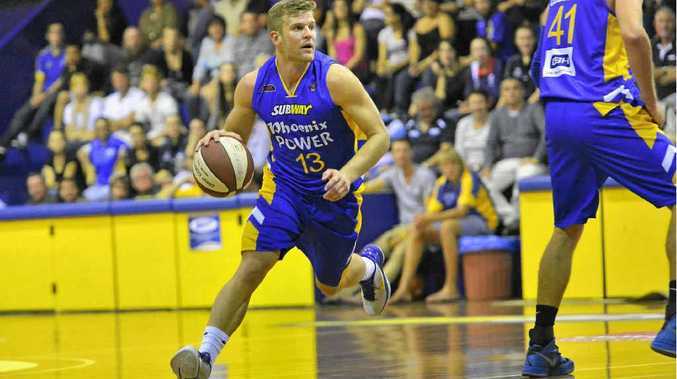 AUSTRALIAN Boomer Chris Goulding will again line up for the Phoenix Gladstone Power when they tackle top of the table Townsville on Saturday. Goulding, who had a breakout season in the National Basketball League (NBL) for the Melbourne Tigers, was named in the Boomers squad earlier this month and helped Gladstone to two wins in Round 2 of the Queensland Basketball League recently. "Goulding is coming to play with us again this weekend. Now he knows the ins and out of our system," coach Dale Iwanicki said. "He scored somewhere around 70 points in our last two games." The scoring streak will need to continue if the Power are going to stay on track and extend their win streak against the top-placed Townsville outfit. Beginning the season with two wins from two games, the visitors are even at the top with the Gold Coast Rollers. If results fall the Power's way, it is possible that the top of the ladder could be theirs by round's end. The more important thought for Iwanicki and his players is staying high in the Northern pool, which will ultimately decide the playoffs. "It will get us back to one and one in our pool and we really need pool wins to get into the playoffs." Saturday's clash will be a good yardstick for the locals, who will also be hoping to be inspired by the women's continued success. Now three wins from their first three outings, the girls are sitting atop the leader board in the state. Also playing for the Townsville club on Saturday, Jess Bibby will be looking to lead the side to another win. Averaging 31 points per game through the start of the season, Bibby has led the scoring for the team so far, with Natalie Hurst also averaging 28 points.